Nawazuddin Siddiqui plays a serial killer in the Indian film Psycho Raman (also known as Raman Raghav 2.0) The fim is being shown at the Fantasia International Film Festival in Montreal. 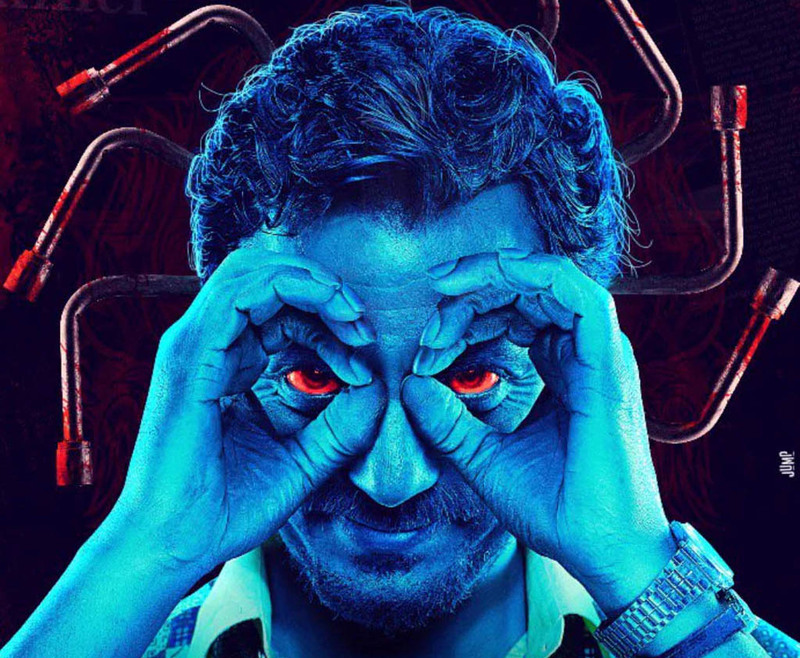 Psycho Raman (aka Raman Raghav 2.0) is one tense film. Ramanna is a serial killer, and actor Nawazuddin Siddiqui gives a bone-chilling performance in the part. He kills people because he likes to – men, women, children, it doesn’t matter, he doesn’t make any distinctions. The things that he says, and the look in his eyes when he says them, are extremely unsettling.There’s no telling what he might do next. And when he makes circles with his fingers and looks through them, as you would with binoculars. . .all I can say is Eeek! 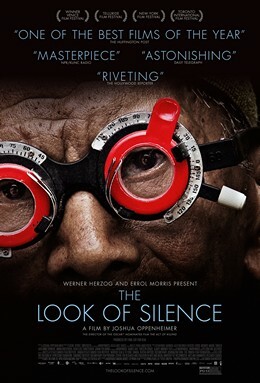 (The pose reminded me of the poster for The Look of Silence, Joshua Oppenheimer’s second documentary about genocide in Indonesia.) Ramanna takes his alias from Raman Raghav, a real-life serial killer in the 1960s. The character is so disturbing that I felt uneasy watching him, as if my very presence in the theatre was some kind of approval for his (fictional) actions. We see Ramanna swing a tire iron, and other weapons, but, mercifully, we don’t see them land on his victims. (And that’s just fine with me!) The guy is totally terrifying all the same – a perfect example of less is more. Raghavan (Vicky Kaushal) is a crooked, violent, doped-up policeman, who got his position via family connections. The guy is so addicted and so callous that he snorts cocaine at the scene of a triple murder. One night, Ramanna sees Raghav kill someone for no reason. He’s convinced that they’re kindred spirits and wants to meet Raghav, maybe even work together? The film switches back and forth between their two worlds. Ramanna keeps tracks of his victims in a little notebook. There’s no indication that Raghavan does the same, but I couldn’t help but wonder who had the bigger body count. Like several other films in this year’s Fantasia lineup, Psycho Raman was well received at the Cannes Film Festival. Psycho Raman (Raman Raghav 2.0), directed by Anurag Kashyap, written by Anurag Kashyap and Vasan Bala. 127 minutes long, in Hindi with English subtitles. See Psycho Raman on Wednesday, July 20, 2016, at 5 p.m., in the de Seve Theatre of Concordia University, 1400 de Maisonneuve Blvd. W.